There are three phases of swallowing. The first phase of swallowing is the oral phase, where food or liquid is manipulated and prepared to be swallowed (by chewing, forming the food into a cohesive unit in the mouth (a.k.a. a bolus). Next, in the pharyngeal phase, after the food or liquid passes through the mouth, it approaches two ‘tubes’ at the back of the throat- the esophagus (a passageway to the stomach) and the trachea (airway). There are several muscles that go to work to ensure the food then goes from the back of the throat down the esophagus rather than into the trachea (which leads to the lungs). When the muscles involved in swallowing are working properly, they close off and protect the airway to prevent food or liquid from entering the lungs. Lastly, the food/liquid then passes from the top to the bottom of the esophagus in the esophageal phase of swallowing. From the bottom of the esophagus, the food/liquid enters into the stomach. Speech-language pathologists are the specialists who evaluate and treat impairments of the oral and pharyngeal phases of swallowing since the same general anatomy is involved for both swallowing and speech/voice. 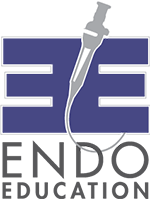 Esophageal phase dysphagia is often treated by an otolaryngologist or gastroenterologist depending on the specific impairment. a wet vocal quality (e.g., a gurgling sound) after eating/drinking. When the pharyngeal swallowing mechanism isn’t functioning like it should, food or liquid can sometimes enter the trachea instead of the esophagus. This is referred to as aspiration. Everyone experiences occasional aspiration of trace amounts (that feeling when something goes down the wrong way and your body’s reaction is to cough). However, when aspiration is persistent and foreign material is entering the lungs, this can lead to very serious complications, such as aspiration pneumonia or even death. 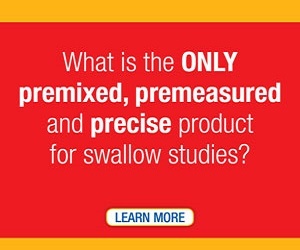 Swallowing experts have developed a short, 10-question, self-assessment survey developed to help patients communicate the signs and symptoms of their swallowing problem with their healthcare team called the Eating Assessment Tool (EAT-10). This assessment tool is not a replacement for tools already in use by the medical team, but can be used as a tool to help patients identify a swallowing problem. Problem identification is an early step in the path to a treatment plan and can result in improved outcomes. The following link will open up the survey. The survey can be taken online and printed out or it can be printed out and filled in on paper. We know there are many things that can go wrong with swallowing and the consequences can be very serious, so what options are available for those living with dysphagia? Below are some of the most effective and widely used treatment techniques that speech-language pathologists can implement to help manage oral and pharyngeal dysphagia. One common method of treatment involves exercises to strengthen and improve the functioning of the specific muscles that are negatively affecting the swallow. First, the speech-language pathologist will complete an instrumental assessment to determine the specific impairments; then, exercises will be prescribed to target those specific areas of deficit. Some patients are candidates for neuromuscular electrical stimulation and/or biofeedback training along with traditional exercises to promote more intensive treatment and in some cases more rapid muscle re-education. Another common approach involves education of compensatory strategies to decrease the risk of aspiration. For example, for some patients, tucking the chin downward while swallowing can help close off the airway and prevent aspiration. For other patients with more weakness on one side or the other, a head turn to one side may increase swallowing safety. A speech-language pathologist can teach specific and individualized postures and techniques to increase safety depending on specific impairments noted during instrumental assessment. A third option in dysphagia management involves diet texture modification. Certain food or liquid textures can be substituted to decrease aspiration risk. For example, thickened liquids flow more slowly than regular liquids and give the muscles more time to react and protect the airway, reducing the aspiration risk for some people. Some patients may need smoother textured foods if mastication or oral or pharyngeal residue poses safety risks. Diet consistency recommendations are very individualized based on the assessment findings. A last resort may involve a feeding tube and nothing by mouth (either temporarily or in some cases long-term) to prevent food/liquid from entering the airway if all oral intake appears unsafe. If you feel that you or a loved one may be suffering from dysphagia, discuss your symptoms with your physician and seek a speech-language pathology consultation. 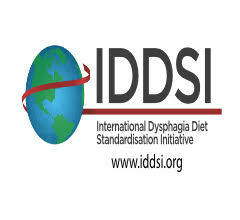 Without treatment, dysphagia can be a debilitating condition, but thankfully quality of life can be improved greatly with proper and timely diagnosis and treatment. Early intervention results in the best treatment outcomes, so seeking treatment at the first sign of an impairment is very important. ASHA Communication Facts: Special Populations: Dysphagia- 2008 Edition. American Speech-Language-Hearing Association, 2008. Bhattacharyya, N. (2014). The prevalence of dysphagia among adults in the United States. Otolaryngology–Head and Neck Surgery, 151, 765–769. I have a serpentine esophagus. I need a different method/solution in taking my capsules and especially my gel caps as they stick in my throat. It is necessary to take my vitamins for life as I have had gastric bypass and now have vitamin mal-absorption.